Whether you are a Homeowner, Paving Contractor, Landscaping Contractor, Landscape Architect, Designer, Dealer or Paving Stone Manufacturer PaverSearch.com is for you. Thousands of hours of research have gone in to bring you this website. The beauty that paving stones add to any landscape or home have inspired this site. This section covers the different types of pavers and information on various aspects of pavers and paving. For example, the Brick Pavers topic takes you to another section wherein you can find out information about their benefits, how to install them, their shapes, colors and patterns, their applications, maintenance and you can even find catalogs and a brick paver gallery. You can find similar information pages for concrete pavers, the various types of natural stone pavers, such as granite, travertine, porphyry, cantera, Mexican, sandstone, cobblestone, limestone, bluestone, slate and flagstone. And other types of pavers like permeable (pervious), antique, rubber, grass and turf pavers. We continue to add content to this site so come back for more information. Paving stone applications are numerous, but there are some that have high interest to most home owners. For these topics we have a special section with many pages on each. You can discover valuable information about patio pavers, driveway pavers, sidewalk and walkway pavers, pool pavers and garden pavers and interlocking pavers. This section provides many beautiful photo galleries. See beautiful online brochures and catalogs of concrete pavers, brick, granite, stone, porphyry, precast concrete, retaining walls, stepping stones, roof pavers and more. Our do-it-yourself section offers tons of ideas and information for those that want to get into the action of laying pavers or just want to find out more about it. Included are articles about technical specs, materials, tools and saws. There is even a step-by-step guide about how to install pavers. Our paver accessory area is a must see for those that do have pavers or wants to "know before they go", as it covers paver cleaners and sealers, repairs, ligthing, erosion control, irrigation and more. This includes information and images of retaining walls, how to build a retaining wall, wall caps and coping, and special information about the Celtik Wall System, Anchor Wall System and Keystone Wall System. This sections covers articles about other types of paving products, such as stamped and decorative concrete, marble tile, precast concrete, engraved pavers, asphalt paving and roof tile. Visit or vast section about landscaping. Page after page of articles on landscape ideas, materials, granden ornaments, outdoor lighting, landscape design, edging and pool landscaping and water features. As a home owner you have the opportunity to find contractors and designers in your area. You can even provide a description of the type of work you are interested in and receive bids from licensed contractors and/or designers or architects. PaverSearch offers an incredible opportunity for those that manufacture, design or are dealers or contractors. You can get listed in our website and can even have a full page devoted to your services so that persons in your area can bid for your services. 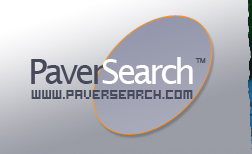 PaverSearch offers information and opportunity for anyone interested in paving of any form. We hope you have as much fun visiting our site as we have had in creating it! Hiring a Paver Contractor or Installer for your Hardscaping project is an important first step in making sure all your goals & objectives are achieved. Read our guide, with tips and questions to ask yourself throughout the entire process. Looking for information on Installing pavers yourself? Read our simple yet detailed, step-by-step instructions for laying pavers. 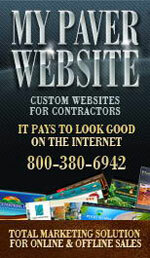 Great for do-it-yourself homeowners, handymen and general contractors looking for tips or help. HandyDeck is a national supplier of Italian exterior porcelain pavers, Ipe wood deck tiles, and adjustable height, self-leveling pedestal systems for creating exceptional raised decks. HandyDeck specializes in 3/4 inch thick exterior porcelain pavers and adjustable height pedestal systems for raised rooftop decks, terraces and gardens. Stepstone,Inc., a leading Precast Concrete Manufacturer, is proud to announce the release of its exciting new Pervious Pedestrian Paver.